The King’s Lynn Stars are proud to race their home meetings at the Adrian Flux Arena. With excellent facilities and a great are track, we believe that it is one of the best motorsport venues in the UK. Parking at the Adrian Flux Arena could not be easier. We have space for over 200 cars in our main carpark and an additional 400 cars in our overflow car park located behind the stadium. Upon arrival at the Adrian Flux Arena, stewards will direct you to to the appropriate carpark and available location. Please note, Adrian Flux Arena can not be held responsible for your car or belongings whilst you attend one of our events. 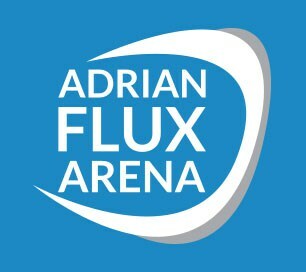 The Adrian Flux Arena welcomes disabled people, groups and carers to our venue. We have a designated parking area close to the main entrance, 2 elevated viewing areas with ramp access and wide access toilets. All disabled customers are offered admission at the concession rate with proof of disability (a disability benefit letter ‘dla’ or blue badge with a piece of photo id is acceptable proof. A sickness incapacity letter is not acceptable) a carer or nurse is valid for complimentary entry upon production of a letter from a doctor or other medical professional is provided to show that their assistance is essential (minimum one paying adult/concession). All other types of helpers will be charged full price admission. Please contact us if you have any queries.